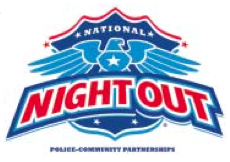 The citizens of Galena Park Oaks are having a National Night Out on October 7, 2014 from 5:30 pm until 7:30 pm. The event will take place at 1407 Holland, Galena Park, TX., 77547. They are expecting around 100-150 people to be in attendance. Police department, fire department, local school, nonprofits and various other groups will assist this event. The Galena Park Oaks Subdivision is looking to bring the neighborhood and city together, so the community can be safer. Come out have fun, enjoy music and food as well as giveaways. Some of the activities and booths confirmed are the police department, fire department. There will be also moon walks, live cartoon characters. LULAC Council 4703, Galena Park HS Interact Club, Galena Park High School LULAC Youth Council and SER Jobs For Progress will also attend. There will be also voter registration and many other activities. This event is being put together by residents of Galena Oaks. For more information please feel to contact Cruz Hinojosa at 832-434-1591 or Juan Flores at 713-553-6351.